“Her Authorship is going to Paris and Barcelona, and she didn’t buy us tickets?” said Herman Hootabout, flitting to the top of the open backpack and peering into the half-empty compartment. “Oh, that’s all well and good for you to say, Rabbit – but I can’t shut my eyes!” Herman flapped his little wings and softly hooted his annoyance. How are your summer adventures going? Hop on over to BlogHop with Plot Bunny and Friends to add your tales! Next → Next post: Time to Fly! Some stories take a Pulitzer Prize. I am not sure if this one will…. But this one, tho it will not take the cake…. 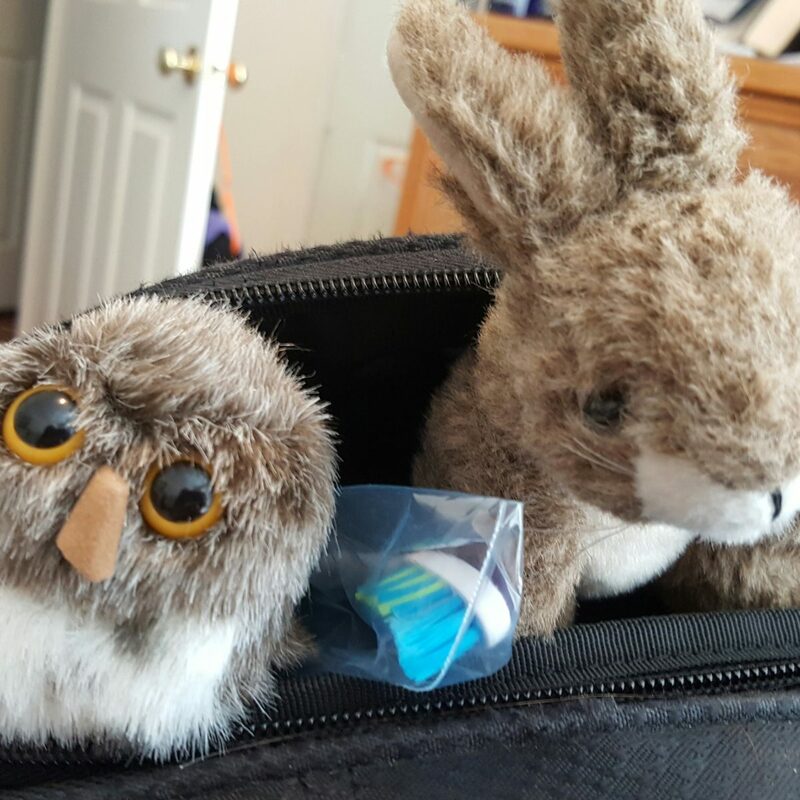 Will take the bag, the bunny, and the owl. And the bunny and the owl, will be be in a flying boat, I think. Bringing a smile to offset the dark circles under my tired eyes on this first Monday in August – delightful read. I’m so glad, Laura! Sorry to hear you’re so tired!